People often think that Not for Profit Organisations are less concerned with making profits than other organisations because that’s not their primary aim. This isn’t necessarily correct! Why do NFPs need to increase income? A key requirement for NFPs is that any profits are essentially put back into the organisation in aid of furthering its cause. This means in order for NFPs to best achieve their primary objectives of supporting or providing for their philanthropic cause, they need to run their organisation tightly, having the same disciplines that should apply to running any business when it comes to increasing income and minimising costs. The result of either (or both) of these is increased profits, which in turn provides more funding to support its cause. NFPs again seem to be rising in popularity and it looks as though everybody wants to be involved, but let’s break down the basics to simplify the clutter. NFPs are very similar to many other organisations. They want to make profits and grow to fulfil their mission, it is just that they do not pay tax on their profits. NFPs are often wholly or partly staffed by volunteers and generally people who are more emotionally attached to the cause than you would find in most businesses. This means management and soft communication skills are imperative to maintaining a culture. NFPs must have a higher degree of transparency, accountability and compliance than many other organisations meaning any NFP of substance needs to have their financial records audited. There are also the soft skills required in managing boards and the associated personalities within the organisation, again understanding the passion and emotion that is often kindling interactions. Just like other businesses, NFPs face risks in the marketplace which they should be aware of. If unaware, this will affect the funds available for their cause as they are competing with many others for recognition and funding. How do we increase revenue and control or cut costs, so we can deliver a better outcome for our cause? If you’re involved in an NFP and are asking this question, we can help. Our mission is to help organisations, including NFPs, clarify their goals, then set and implement suitable strategies throughout their organisation so to achieve their goals faster. We work with organisations to develop and implement methods of achieving growth, whilst minimising waste and maximising the return for their cause. We also have access to specialist cost-saving systems which can dramatically reduce overheads for NFPs. Please contact us today if you would like to discuss how we can help you. 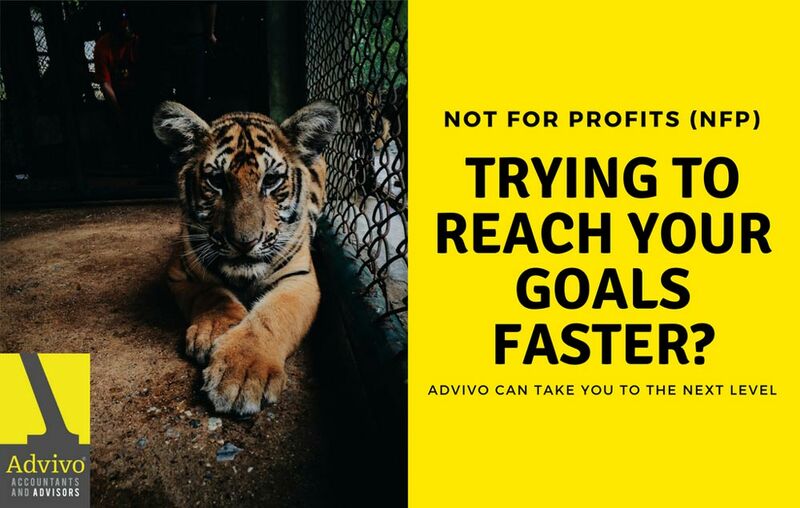 At Advivo, we practice what we preach and encourage others to support social causes and philanthropic organisations as well. We actively support Epic Business Assist and Many Rivers are both NFPs providing great benefit for their respective causes. Often people think it’s just about donating money, but there are many other ways you can help as well. This is part of what has driven our initiative to have our clients help us choose a different community organisation each month to be the recipient of Advivo’s monthly contribution. Each month we’ll make a donation and you can have your say as to which community organisation you would like us to support each month simply by clicking the link in our newsletter. Please click click here to vote on this month’s recipient of our contribution.